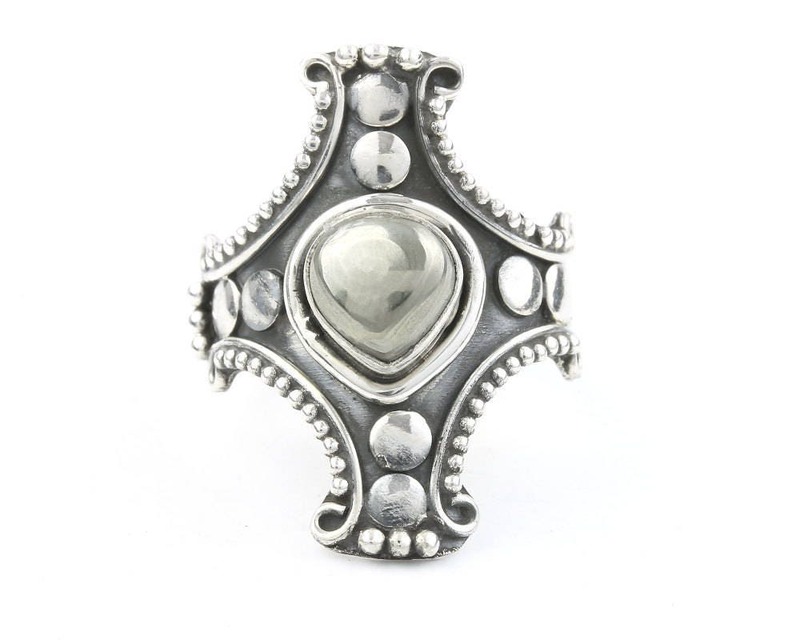 Beautifully detailed sterling silver cross ring. 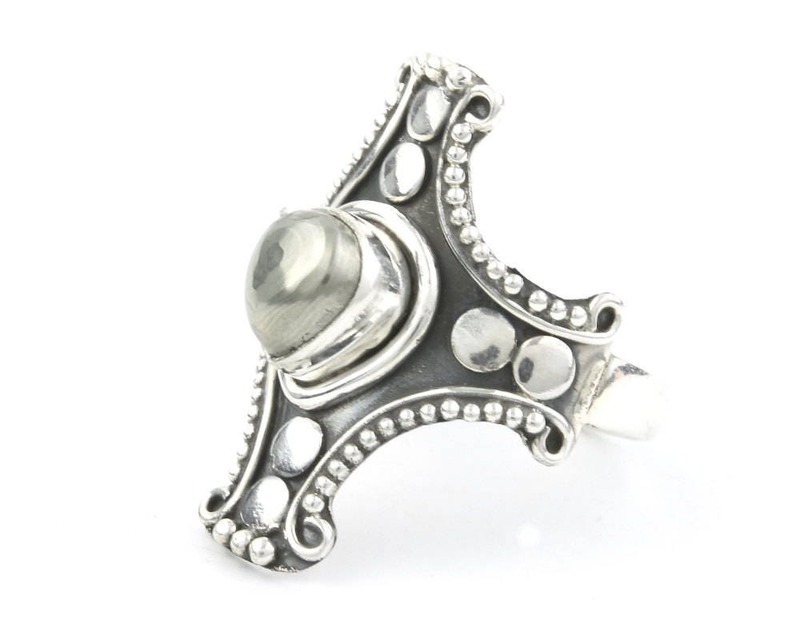 Features center pyrite accent stone. Pairs perfectly with other silver pieces. Absolutely beautiful!! Great seller!! Recommended!! Does look like the picture, good shipping and ring size. Ring is very thin and will be easily damaged and for that reason I'm not completely satisfied.